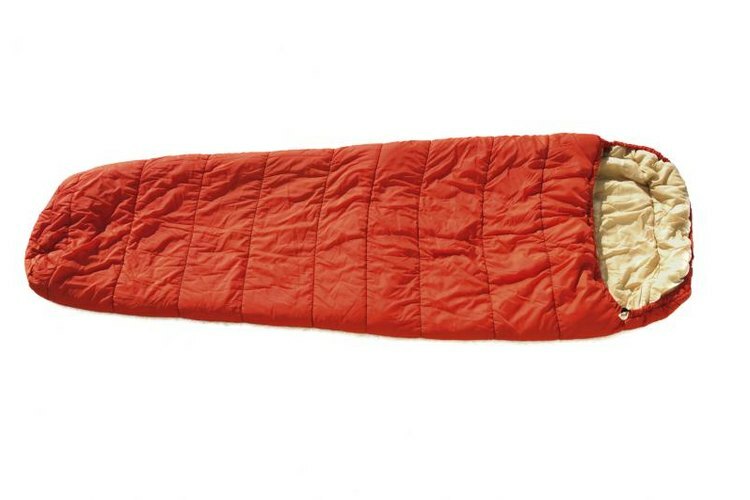 Older sleeping bags can be restored with a careful washing. If you're a frequent camper or backpacker, the grime building up in your sleeping bag can make it almost uninhabitable. A good washing can make it feel like new again. Since sleeping bags are made with lightweight materials and carefully stitched insulation, they need to be washed carefully by hand, or in a front-loading washing machine without an agitator. Most manufacturers recommend washing a sleeping bag by hand, but some manufacturers like Big Agnes point to a front-loading washing machine. After completely unzipping the bag, set your machine to a gentle cycle and use cold water. Special laundry detergents for down sleeping bags are available to restore the natural oils in down feathers that give them their lofty warmth. Send the bag through an extra rinse cycle or two to get all of the soap out of the insulation. To ensure your sleeping bag makes it through a washing with no damage, it's best to hand-wash the bag in a bathtub. Fill your tub with warm water mixed with a special sleeping bag laundry detergent, then submerge the bag and agitate the fabric to work soap into the insulation. Let it soak for 15 minutes, then drain the tub and press out the water and soap, and repeat as necessary until all the soap is worked out of the bag. Synthetic bags can be washed the same way as a down bag, but a mild soap instead of a specialized down wash is all that's necessary to fully clean a synthetic bag. You can use your washing machine or your bathtub. Don't use a top-loading machine with an agitator, since this can damage the lining or stitching in your sleeping bag. Air-drying your bag over several days in a cool, dry place with lots of air movement, like a garage, is the best way to dry the insulation without damaging the bag. Move the insulation around by hand during the drying process to prevent clumps from forming. If you decide to use your dryer, use a no-heat setting or very low heat, and check the bag every few minutes to make sure the dryer isn't heating up to avoid melting the fabric. It may take several cycles to fully dry the bag, but adding a few clean tennis balls during the cycle can help restore the loft in the insulation while it tumbles. How Can I Soften Leather Saddlebags?